The arrival of an airplane at the airport involves manual work, such as attaching and running ground units that provide power, fuel, water, cooling or heating. In the frame of this project, the Touch and Go Assistant will be applied to a specific ground unit that supplies pre-conditioned air to the airplane. Operating these devices at high efficiency currently requires two operators to be present the whole time – in the airplane and on ground. The operators communicate the necessary adjustment of the air flow via walky-talky. This “human control loop” is too cumbersome for some airlines, hence the devices run in an un-supervised and much less efficient mode. The Touch and Go Assistant will simplify this work: an initial association of the airplane and its ground unit – in line with current procedures – is sufficient. After that, the machines will communicate and work independently at high efficiency. No need for further interaction between ground and airplane personal. The assistant can also serve in other situations, like refuelling or general maintenance connectivity. It also lays the foundation for future services like automatic luggage retrieval. In Use Case 7, potential security flaws have been found to the basic Touch-and-Go Process. Due to that, a concept for the improved version of Touch-and-Go has been developed and is currently in the implementation phase. Accordingly, the modelling tools (EventB, TAMARIN) are going to be adapt to the newer version of the Touch-and-Go Process. In the second part – the assessment of the wireless connection – the PhyWise tool has been further developed. 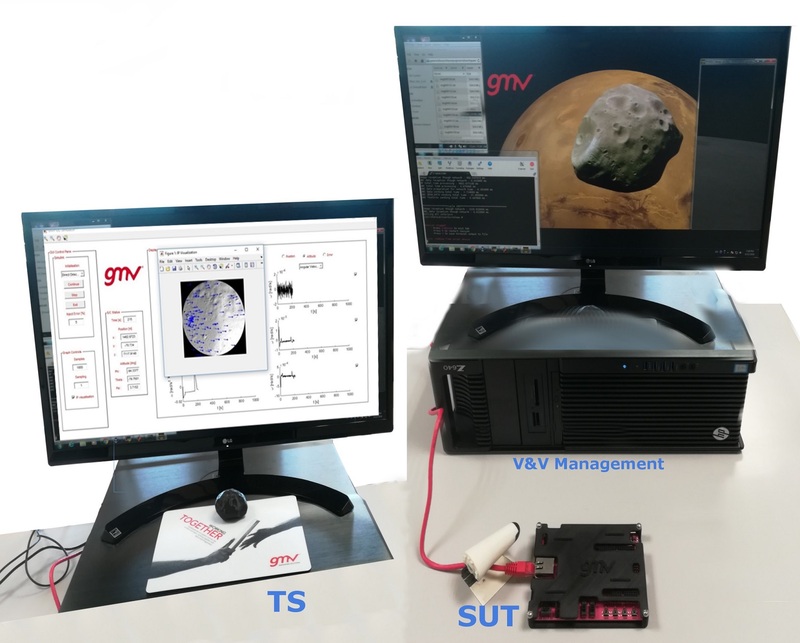 This Use Case intends to provide a Reconfigurable Video Processor (RVP) acting as a HW reconfigurable platform for Navigation and Earth Observation applications, suitable to be used in the harsh space environment. The targeted platform can be used to develop highly configurable systems for a wide range of #CyberPhysicalSystem (CPS) applications, since it can provide inherent fault tolerance in the reconfigurable partition. However, some these features might not be enough in the space scenario, targeted in this Use Case. Thus, additional fault mitigation techniques have been implemented to cope with radiation effects, ensuring fault tolerance at system level, in such a safety-critical context. The final result in this UC will be a design in which the faults can be injected in any part of it and the implemented design will maintain its performance without any major changes. When this is achieved, it will help to get a better understanding of the desired designs for its use in space. Furthermore it will also highly reduce the amount of testing since it will be possible to test only the critical parts of the design.